The lipsticks I'm loving at the moment. 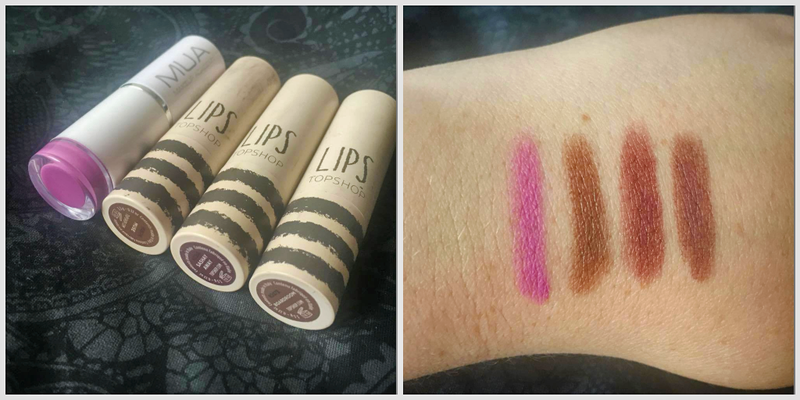 Brown shades are my go-to at the minute and Topshop delivered with these three great shades. Also loving the vibrancy of this MUA lippy which looks great with a simple black outfit. And it was only £1! 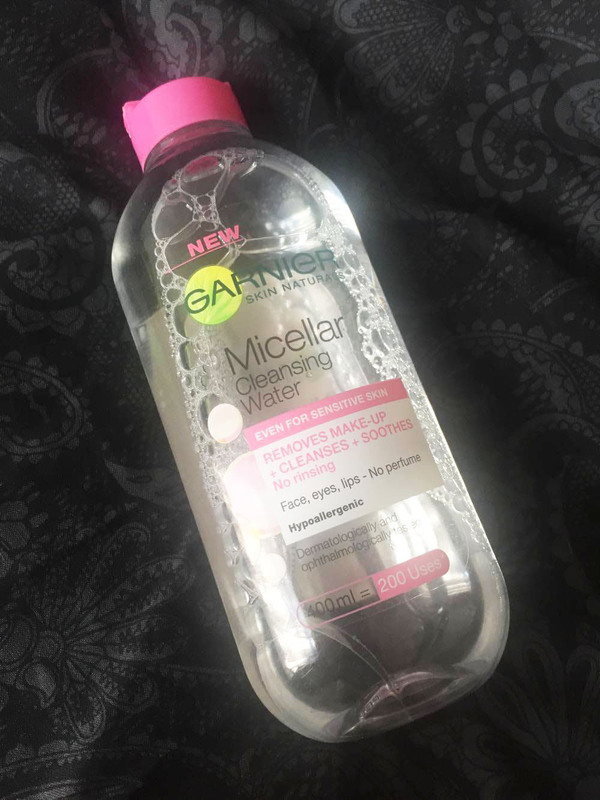 A little late to the party with this one but I finally got a bottle of Garnier Micellar Cleansing Water and I love how refreshing it is. Instant wake up and also the best make-up remover. Gorgeous new Topshop bag I swagged in their sale last week. Only £15! Unfortunately sold out online but check your local store for any left over bargains like I did. 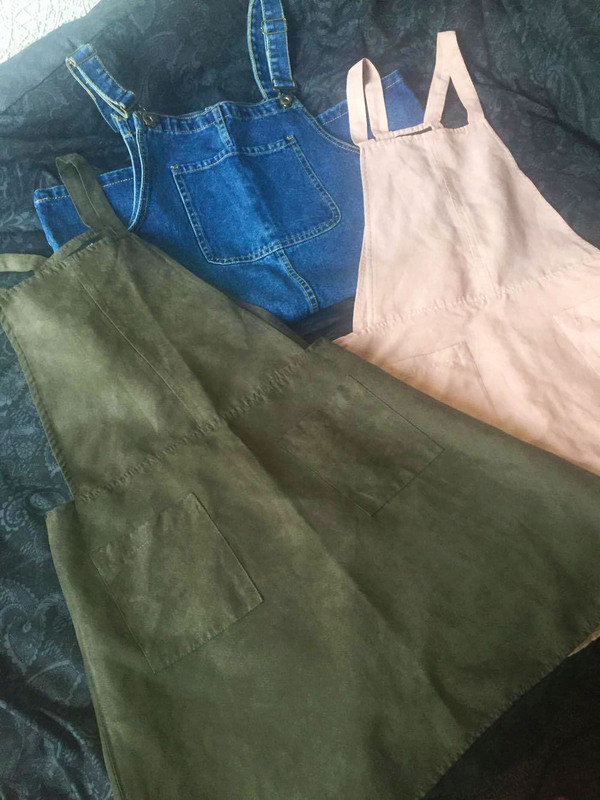 Been all over the pinafore game over the last few months, as you can see even buying the same one in two colours! These three are all Primark and were around £15 from what I remember (don't quote me!) These are great paired with black, white, grey or brown stripy tops. In terms of going out attire, I'm a big fan of fitted skirts at the moment. 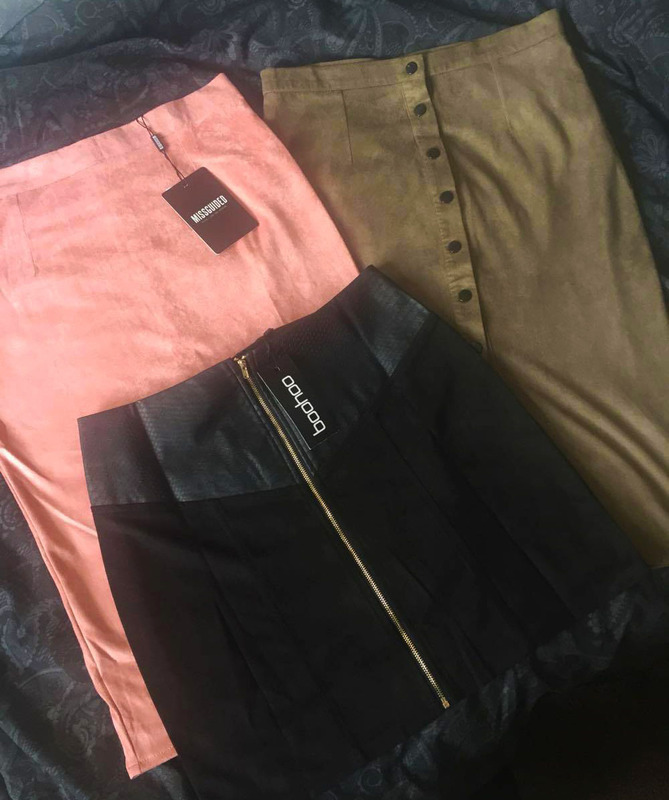 I love the way these two Missguided midi skirts figure hug the body and give you a super flattering look whilst making you feel a million dollars. 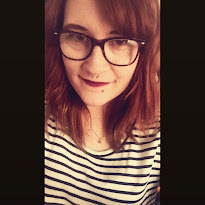 Also recently braved it and got a mini version in the form of this little black number from Boohoo which is right up my street with regards to colour and style. I love grumpy cat merch! Primark have loads in at the moment, including the socks and tote pictured and also a pair of pyjamas that I'm using all my willpower not to buy! Current favourite t-shirt award also goes to the cute Alice Takes a Trip tee pictured. Cutest collar and print and constantly gets compliments from staff and students at work. Check them out! 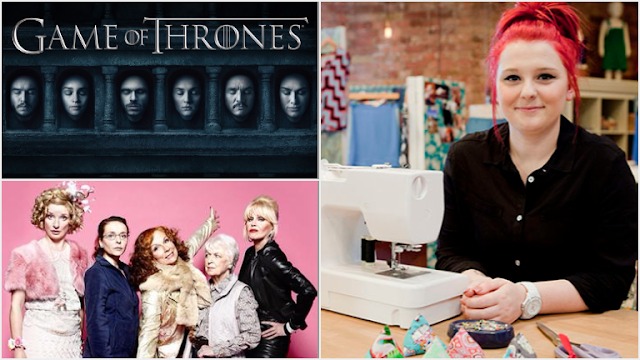 Recent TV faves have been Game of Thrones, Absolutely Fabulous & The Great British Sewing Bee. Game of Thrones season six has been immense and I'm legitimately gutted its over for another year. Won't spoil anything here but if you haven't watched or don't watch, you really are missing a treat! Netflix has allowed me to binge Ab Fab over the last few weeks. I remembered it being aired when I was little but never really watched it and always wanted to. Thanks to Netflix you can indulge in all the series' ready for the new film release. I can guarantee you'll all want to channel your inner Pats & Eds. And last but not least, I've been loving this years series of The Great British Sewing Bee. I can't sew to save my life, I dabble in cross-stitch and have lots of seamstress friends though so its right up my street. Fantastic contestants this year and some fab garments made. Looking forward to tomorrow's final and cheering on TEAM JADE!